With 2019 fast approaching and our heavy holiday dinners still digesting, we look back on a transformative year not just for our community as a whole but individually as well. 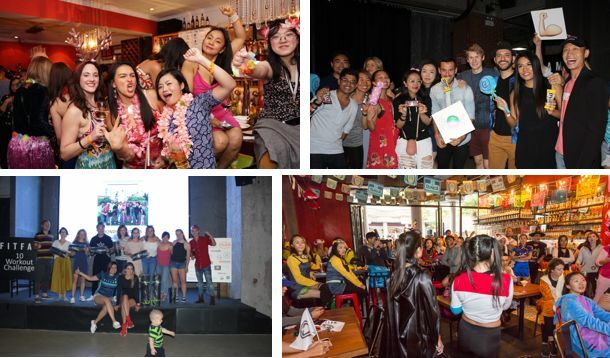 We are, after all, a collective of inspiring individuals from China and all over the world, each contributing to the well-being of others in our own ways. 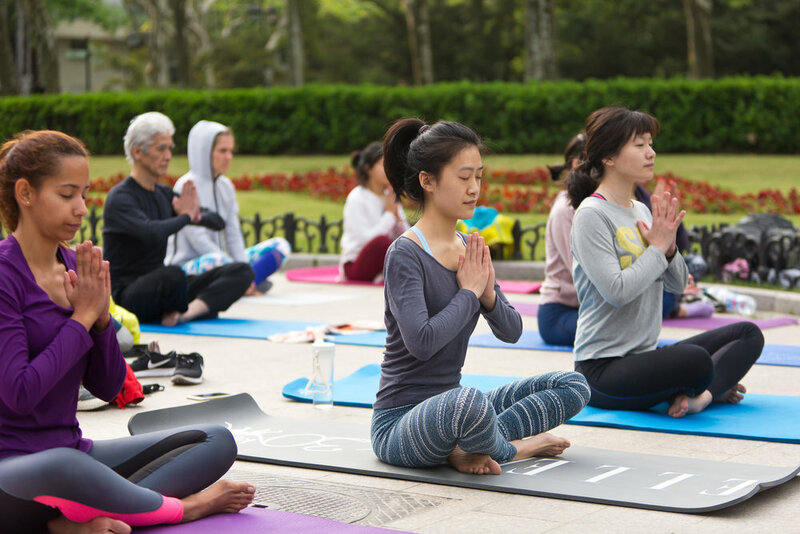 What makes us unique isn’t the free workouts we organize every day of the year (what AQI? ), the outrageous number of WeChat groups that begin with ‘FitFam’, or the multitude of FitFam-branded stickers you may or may not have saved in your list of favorites. It’s not just about the big events, parties and planking selfies. It’s about the people. China’s fittest family grew… a lot. Rome wasn’t built in a day, and neither was FitFam. 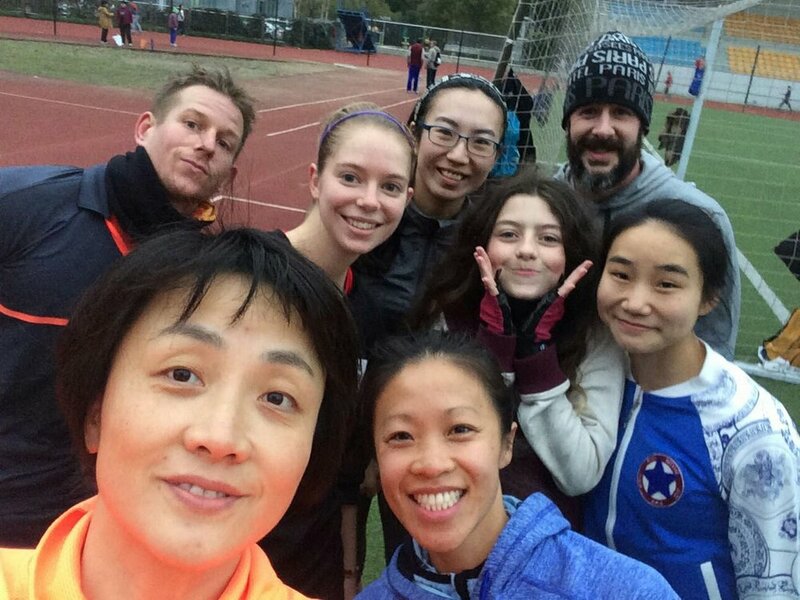 What started out as only a few dedicated friends in the cold Shanghai winter of 2015 unexpectedly became an international community of more than 5,000 members, all of whom have benefited from high-quality workouts from our volunteer leaders who continuously time out of their own schedules to keep us all active. 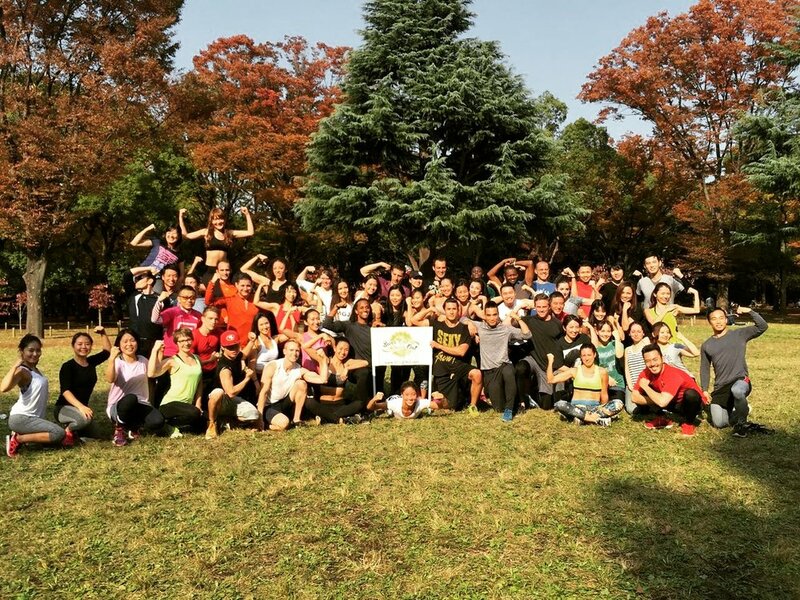 This year, we welcomed over 30 new workout leaders around mainland China and Hong Kong. That’s a lot of new burpees to sweat to! They fought in the ring, relentless, as dazzling supporters in suits and dresses screamed their names from surrounding dinner tables. They came out to motivate at the break of dawn and when dusk fell, day in and day out, and received much-deserved awards for it. They beat the odds (from a China perspective) and placed first in races spanning well over 50 kilometers, and took their incredible involvement in the fitness community to the next level by obtaining physical training certifications. Some of you braved the snow. Back in January, Shanghai’s “snowstorm” was no match for FitFam. Some of our Winter Warriors bundled up and braved the elements while capturing a few epic photos along the way. As our number of FitFammers and leaders grew over the past year, so has the demand for more free fitness. As such, we’ve expanded our frawesome (that's free + awesome) capabilities to 29 more locations. We teamed up and challenged ourselves. You know how much we love our occasional challenge and, with your help, we took over Shanghai streets and fields in typical FitFam fashion. Nothing better than a friendly competition here and there to get the adrenaline kicking. Our annual Spring Challenge invited members and friends to complete 5 workouts in 7 days while also building healthy eating & drinking habits thanks to our amazing partners. Your mission: complete 10 workouts in 2 weeks at any of our 32 available locations around Shanghai. The only caveat: participants could not log in more than one workout per day. Hundreds of people came together to celebrate the spookiest holiday of the year. The costumes, the challenges, and the FitFam spirit made the 3rd annual FitFam Halloween Huangpu Hustle our best event yet. To mark FitFam’s third birthday (they grow up so fast, don’t they?? 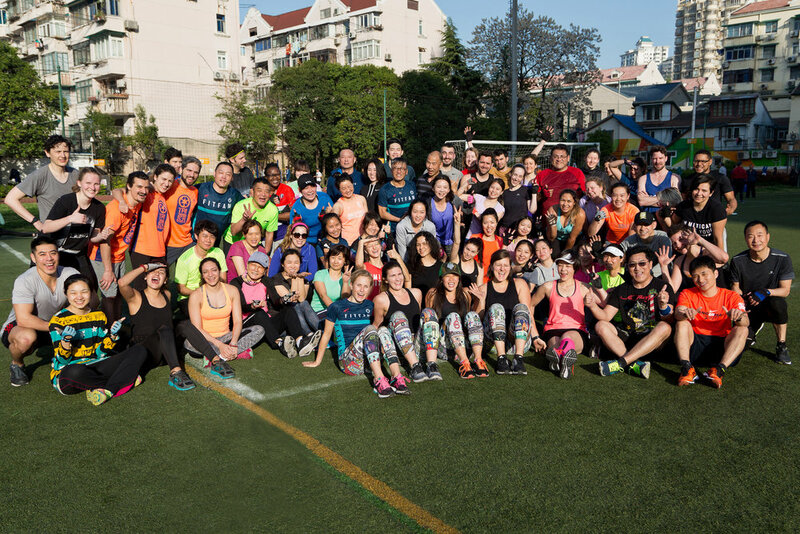 ), our entire community came from all corners of Shanghai for one massive workout at our long-time location supporter, Cages, and naked Hub to sweat, eat, and smile. We ran a whole lot of kilometers together. To some of you, running is your bread & butter. For others, this was their Mount Everest. Regardless of your experience and level of fitness — as for anything else at FitFam — we all came together to motivate and support one another. And together, we achieved a whole lot of greatness. 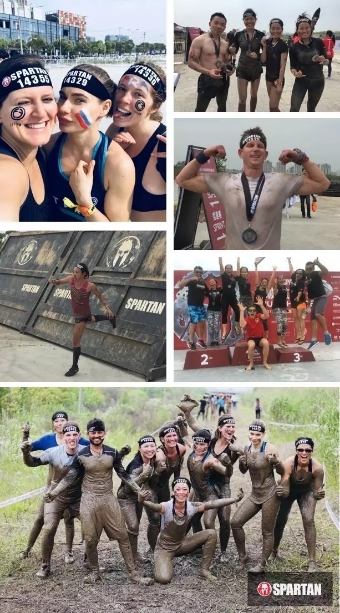 No stranger to Spartan races, FitFam put on his meanest face this year with teams of 10 and 66 participants to compete in the Spartan Super and Sprint, respectively. Many of our FitFam runners came out to compete in Shanghai’s half-marathon race on the Pudong side of the city, braving the spring heat as they made their way from Lujiazui down south along the Huangpu river. Unicorns, white t-shirts plastered in bright colors, and a few burpees along the way. That’s what awaited our FitFamily at the Shanghai 5K Color Run race in Pudong! With 126 participants, the FitFam team was by far the biggest. It was wet… It was cold… But rain or shine, those conditions didn’t stop our FitFammers from coming out to run! Some of them had been training for this moment for months, and many had prepared for it together. Lots of good things happened around the connected FitFamosphere. First, we officially launched our new website at www.wefitfam.com to help promote all our wonderful stories and events. 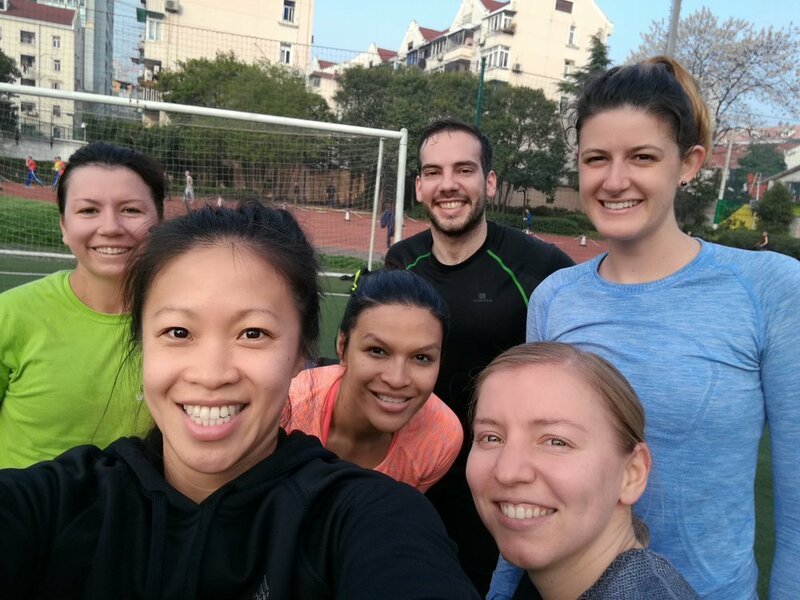 After months of intense coding and coordinating, we finally began testing our very own FitFam Mini Program which was then rolled out across all of our China locations to ease the registration process and help you locate workouts near you. To access, search “FitFam” in the Mini Program section of the WeChat search. Want to know what’s on the FitFam agenda for 2019? 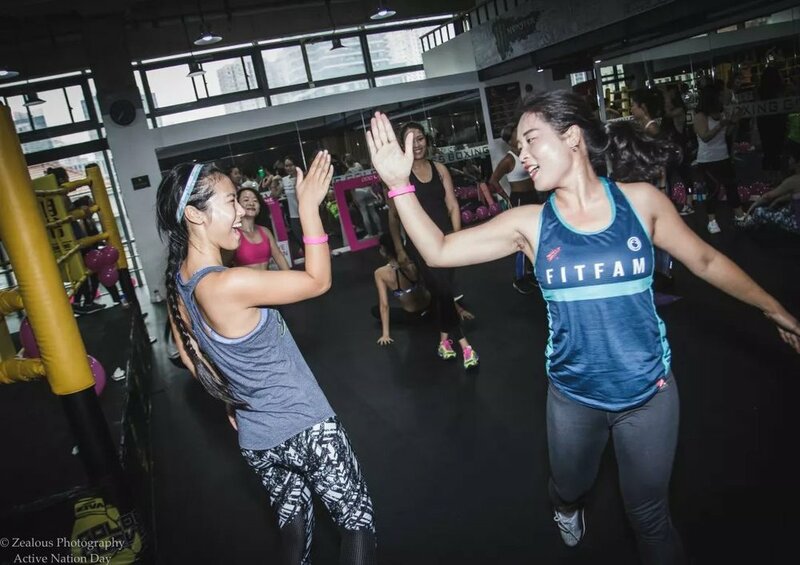 We upgraded our WeChat official account from FitFamShanghai to FitFam (ID: FitFamChina) so you and your pals can stay updated on all-things FitFam and free fitness. Scan the QR code below to access our China account. We made a few toasts to celebrate. From birthdays and post-challenge soirees to Hawaiian Christmases and smaller get-togethers, our friendships extended far beyond the field — and it showed. You moved us with your gratitude. FitFam isn’t just a community of free exercises. It’s a place where friendships are made. A place where smiles are shared, WeChats are exchanged, and lifelong bonds are created. Thank you, once again, for another incredible and memorable year. Congratulations to everyone on their personal achievements! Let’s raise a glass (of smoothie…) to more milestones to look forward to in 2019. It won’t be easy, but if we’ve learned anything from the past 3 years, it’s to never doubt how far a high-five can take you.